Fat manufacture consists of a series of steps, each of which has a significant influence on the final characteristics of the products. In simplified terms, the production of a fat can be outlined in four main stages. The first step is to create the recipe. A margarine containing 80% fat, a pure fat, a mixture of vegetable oils with a certain percentage of water, a mix of animal and vegetable fats … the possibilities are endless. And this is clearly the basic property that will make the product more suitable for one application rather than another. Drawing on this list of ingredients, it is therefore necessary to incorporate several raw materials into the tanks to form the mixture. These raw materials must be liquid to be pumped from the storage tanks. 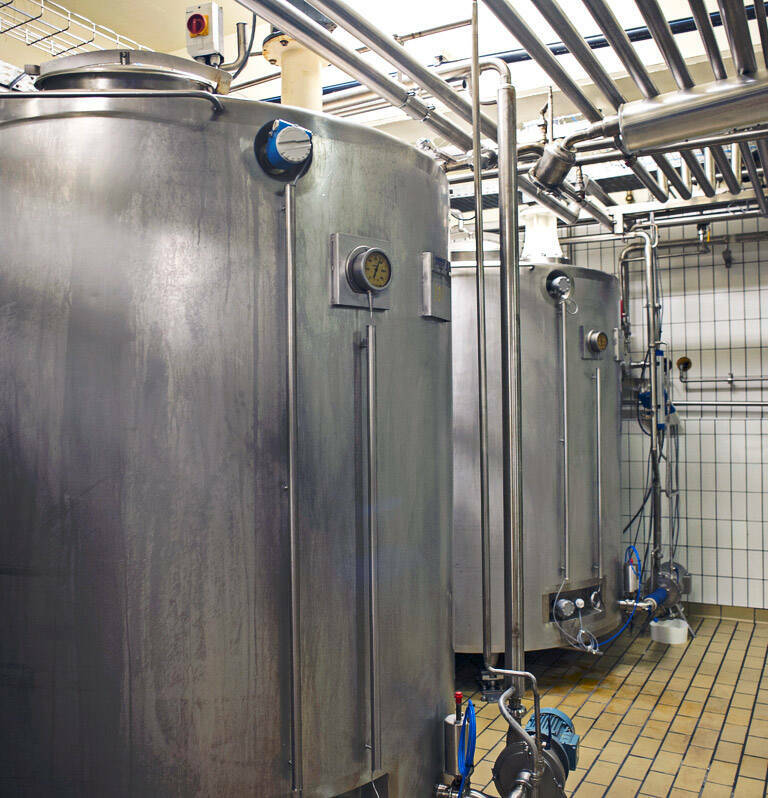 For some vegetable or animal fats, it is therefore necessary to continuously heat the storage tanks at a temperature above their melting points. 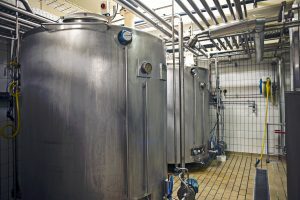 To do so, specific percentages of each ingredient are added to the preparation tanks, the dosage being computer assisted.. When water has to be included in the mixture, as is the case for a margarine for example, which requires 20% of water, then it is imperative to include emulsifier in the recipe to allow the water and oils to combine. Depending on the expected features of the product, it is sometimes necessary to add other ingredients such as salt, colourings or flavourings for example. 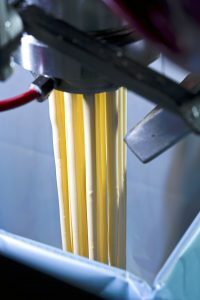 Once the mixture is formed, it is pushed from the churning tank to its packaging line. In the process, the fat, still warm and liquid, will be abruptly cooled by alternately passing through cold tubes, working tubes and resting tubes to gradually switch from a liquid to a solid state. 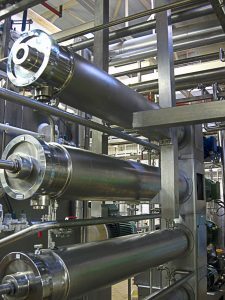 To outline the principle, the cold tubes could be likened to a giant ice cream maker. They consist of several concentric tubes. A refrigerant flows through the outer ring that is cooled between 0 and -25 ° C. The fat mixture flows through the central tube. The cold exchange between the annulus and the fat in the centre will cool the product and thus trigger the crystallisation process. The crystals, formed in contact with the cold intermediate ring, are scraped off by means of knives secured to a rotary central axis. The refrigerant and fats obviously never come into direct contact with each other. The working tubes in turn are crossed by an “agitator” shaft whose job is to break a part of the crystal lattice being formed. Placed alternately with the cold tubes, working tubes are used to give time to the product on the line, to achieve crystallisation. They also can play on the size of the crystals that will give body or flexibility to the product. Finally, the product simply passes through the resting tubes at the end of production. 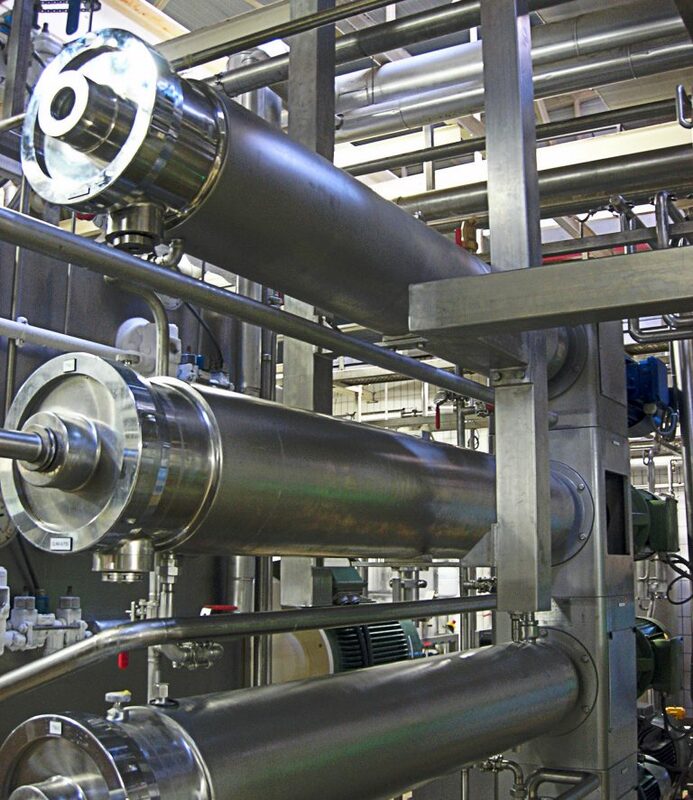 These pipes will ensure the completion of the product crystallisation process before it is packaged. 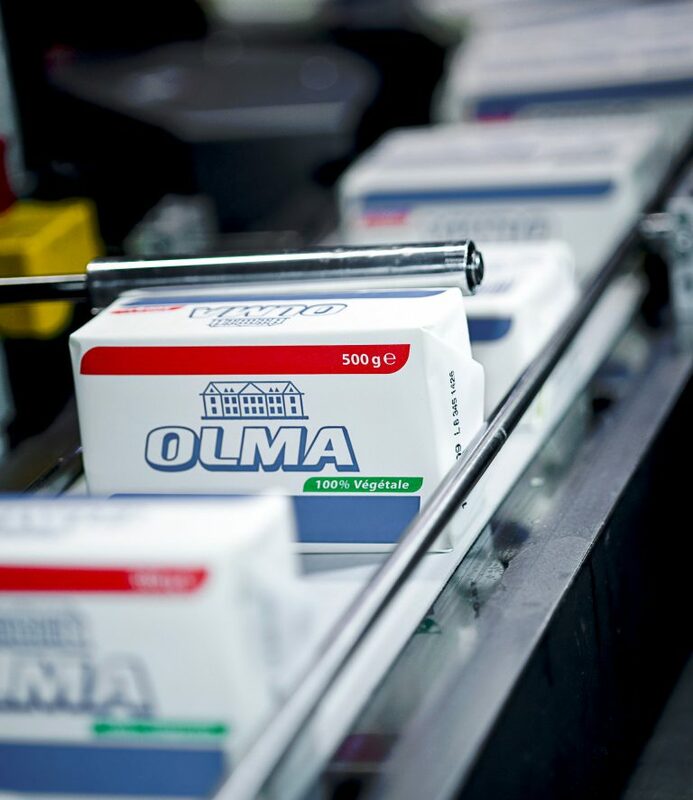 The expertise of the margarine maker is necessary to apply the most appropriate production parameters to obtain the optimal crystallisation of the selected recipe. Choosing the order of passage through the various tubes, a quick or slow passage through the system, applying a very intense or more moderate cold in the cold tubes, increasing or reducing the processing time of the material, etc., are the many elements that need to be taken into consideration by the margarine maker. Indeed, this crystallisation will greatly influence the textural properties and plasticity of the fat used by the customer. Because a crunchy cookie or a fluffy brownie will require fats with completely different textural properties. Depending on the selected type of packaging, completely different behaviours can be observed, even if the starting recipe is absolutely identical. Thus, the same recipe poured into a sachet itself covered with a cardboard or extruded in the form of a block does not necessarily offer the same properties. In the first case, we observe what we can call a “natural crystallisation”, that is to say more anarchic and less uniform, since the still liquid product has been simply poured in bulk and left to solidify as it stands. 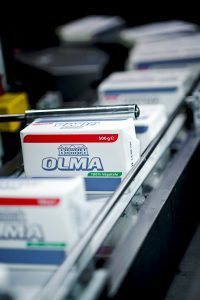 Conversely, when a block is extruded, it had to be largely solidified during its time on the line and the final product will generally be more finished: less brittle and more plastic. The type of packaging also plays a role in protecting against oxidation and thus the gradual deterioration of the material in direct contact with the air. In short, the choice of packaging can sometimes have a decisive impact on the result expected by the customer. 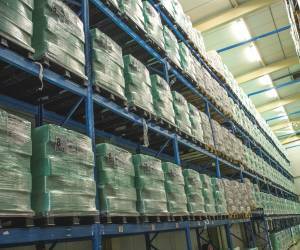 Once the product is packed and on pallets … it is often far from being ready to be delivered. Indeed, depending on the type of application, it is sometimes necessary to let the fat “mature” for a few days in our storage hall on the basis of highly specific temperature settings. 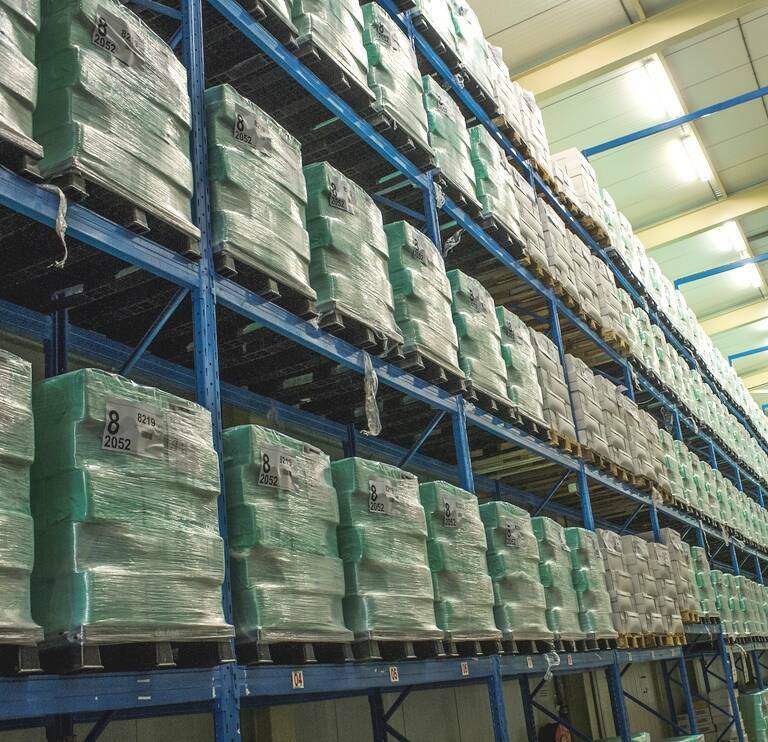 That is why our storage hall is divided up into several zones, each maintained at a defined temperature. It is therefore common for a product intended for example for the manufacture of puff pastry and croissants to stay a few days at an intermediate temperature, and then continue its wait in the storage hall for another few days at a lower temperature to obtain the desired plasticity. Only after this post-crystallisation period, which varies according to the different applications of our customers’ finished products, that the fat is finally ready to be delivered.